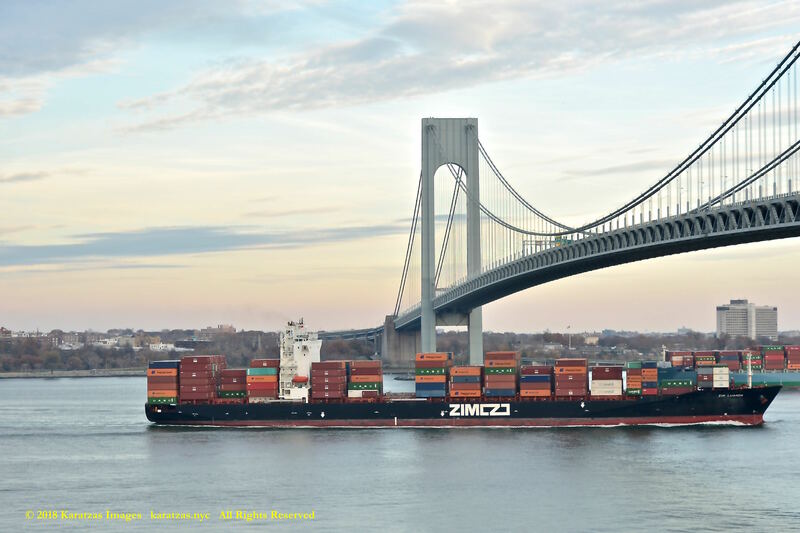 Posted on January 7, 2018 by Karatzas Marine Advisors & Co. 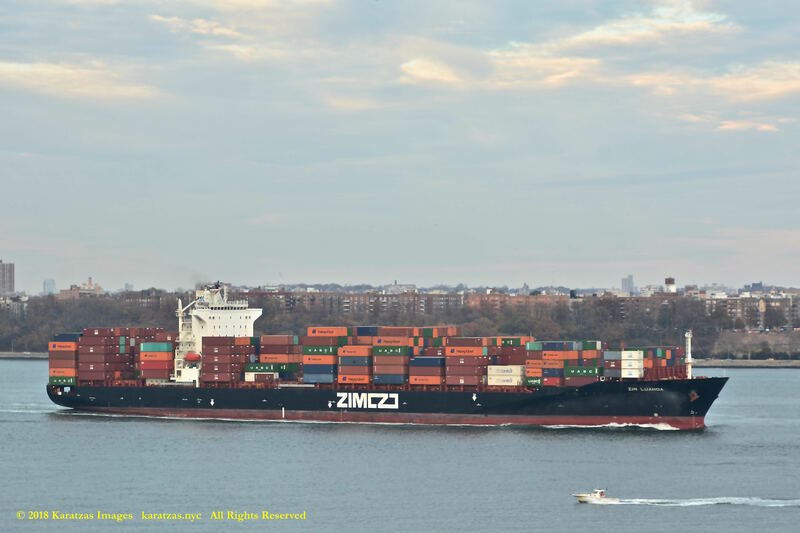 VESSEL IDENTIFICATION & DESCRIPTION: Launch Name was Zim Luanda. Call Sign 9HA2029, IMO Number 9403229. Vessel is able to transit the old locks in the Panama Canal. Built at Samsung HI, Malta Flagged, DNV Classed, Length Overall of 260.00 m., Length Between Perpendiculars of 244.75 m., Draught of 12.60 m., Moulded Depth of 19.30 m., Beam of 32.25 m., Gross Tonnage of 40,030, Tonnage of 24,450 International Net, 16,440 Light Displacement and 50,025 Dwt (long). Design Samsung 4250 TEU by Samsung HI. VESSEL’S OWNERS & MANAGERS: Danaos Shipping Co. Ltd., Greece. 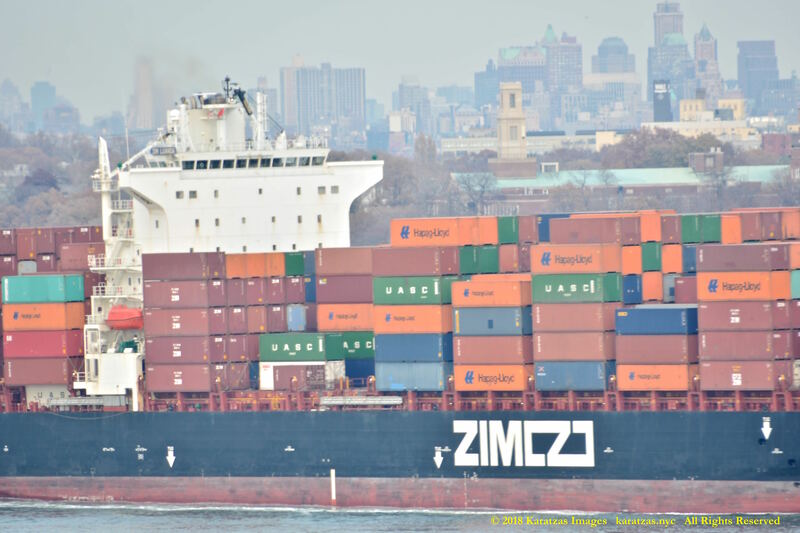 Vessel demise charterer is ​ZIM Integrated Shipping Services Ltd. CARGO HANDLING DETAILS: Teu Capacities of 4,250 Total, 2,900 Homogeneous and 660 Reefer, 7 Holds, 16 Hatches. 330 x Sockets, Reefer. No Cargo Gear. MAIN ENGINE: 1 x Diesel – MAN B. & W. 8K90MC-C6.2 – 2-stroke 8-cyl. 900mm x2300mm bore/stroke 36,560mkW total at 94rpm. AUXILIARIES: 4 x Aux. Diesel Gen – Daihatsu 6DK-28 – 4-stroke 6-cyl. 280mm x 390mm bore/stroke 7,600mkW total at 720rpm driving 4 x AC generator(s) at 7,200ekW total, (9,000kVA total) at 60Hz, 1 x Emergency Diesel Gen. – Cummins Inc LTA10-D(M) – 4-stroke 6-cyl. 125mm x 136mm bore/stroke at 1,800rpm driving 1 x AC generator(s) at 60Hz. 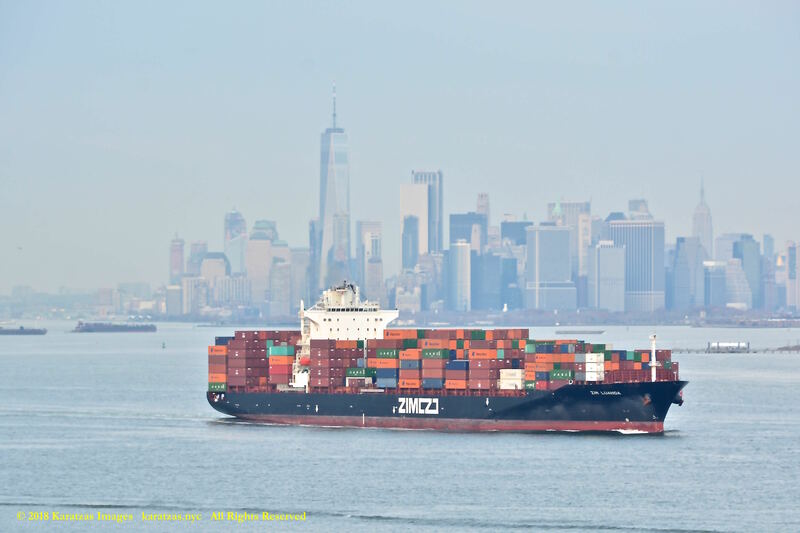 Panamax containership MV ‘ZIM Luanda’ departing New York Harbor. Seen here against the Lower Manhattan skyline and One World Trade Center. Image credit: Karatzas Images. 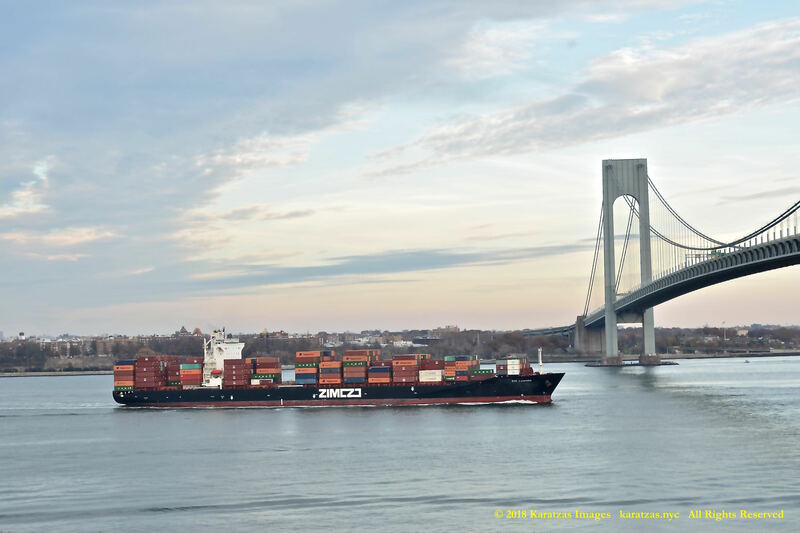 Panamax containership MV ‘ZIM Luanda’ departing New York Harbor. Bow detail. Center. Image credit: Karatzas Images. 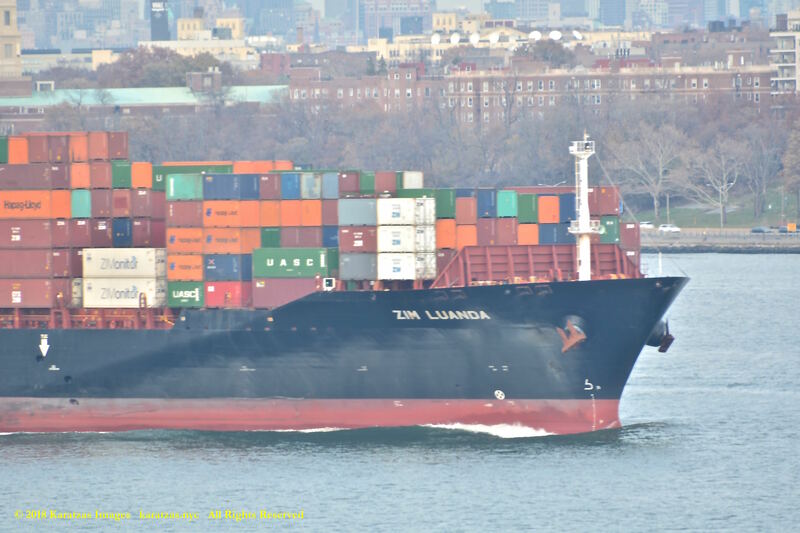 Panamax containership MV ‘ZIM Luanda’ departing New York Harbor. Accommodation and chimney stack detail. Image credit: Karatzas Images. 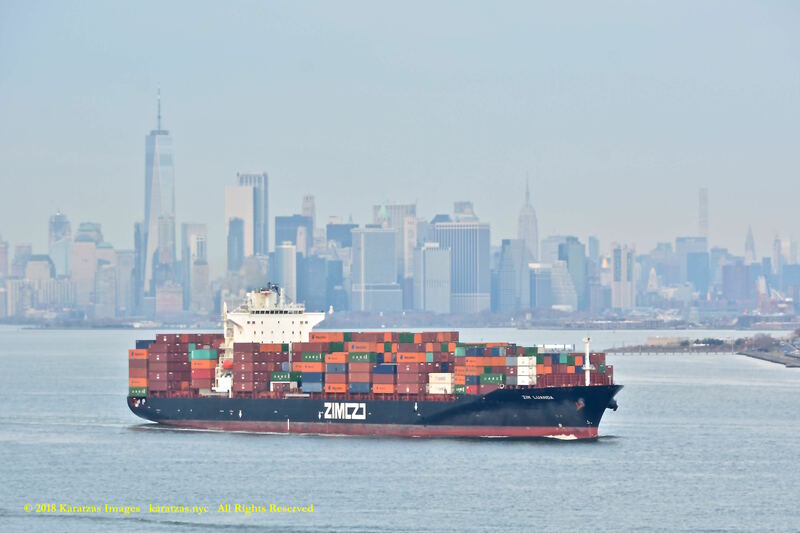 Panamax containership MV ‘ZIM Luanda’ departing New York Harbor. Stern detail. Image credit: Karatzas Images. 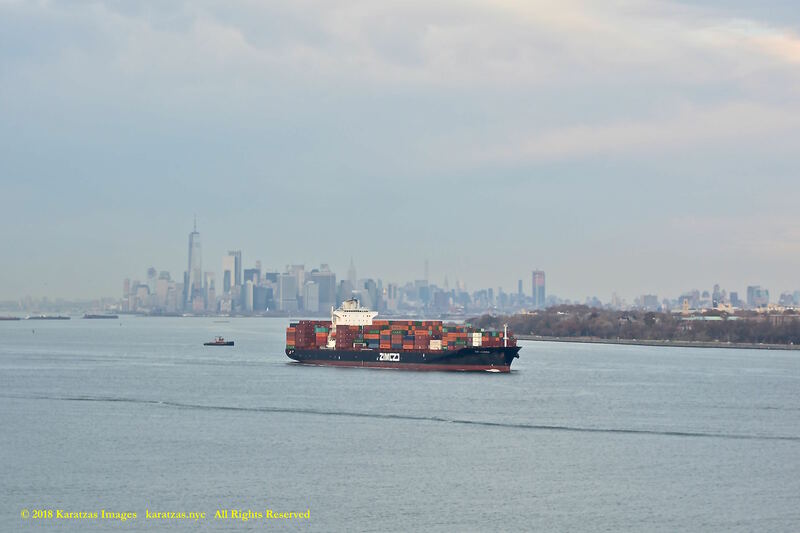 Panamax containership MV ‘ZIM Luanda’ departing New York Harbor. Image credit: Karatzas Images. 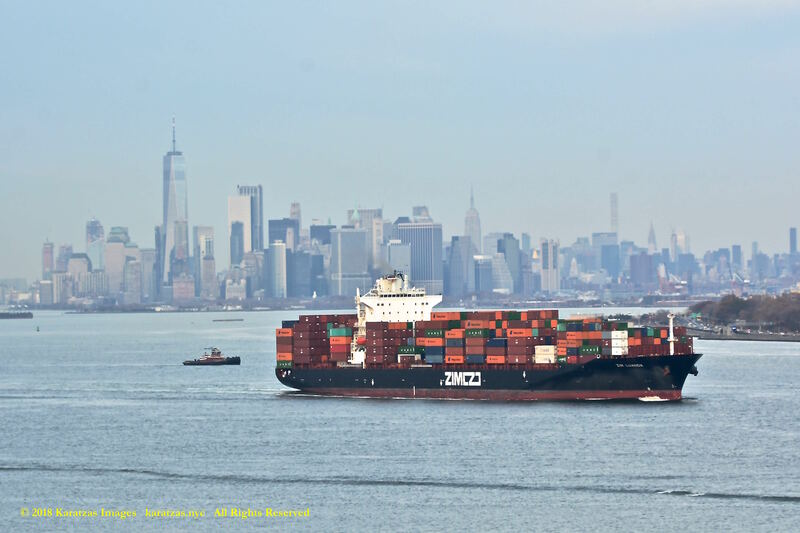 Panamax containership MV ‘ZIM Luanda’ departing New York Harbor. 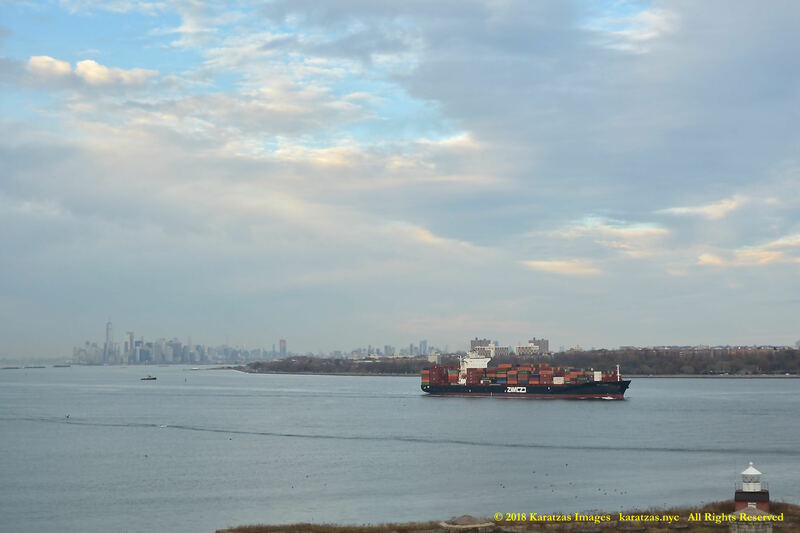 Seen here by the Verrazzano-Narrows Bridge. Image credit: Karatzas Images. 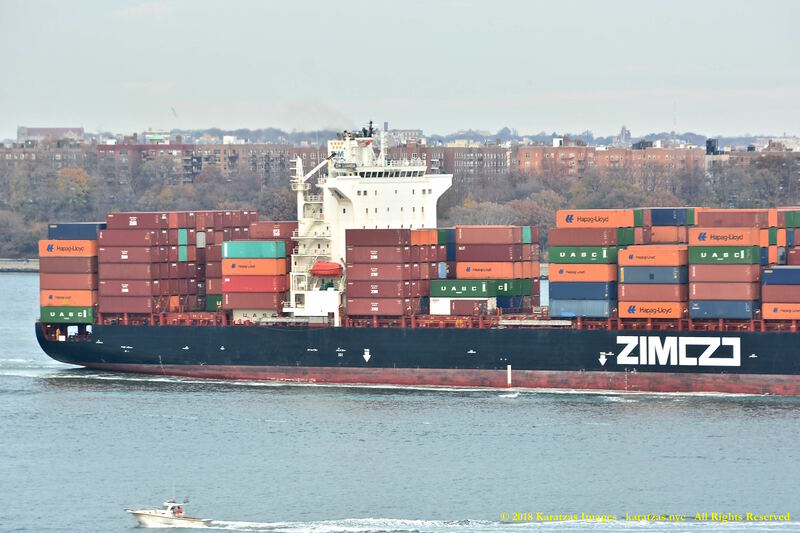 Panamax containership MV ‘ZIM Luanda’ departing New York Harbor. 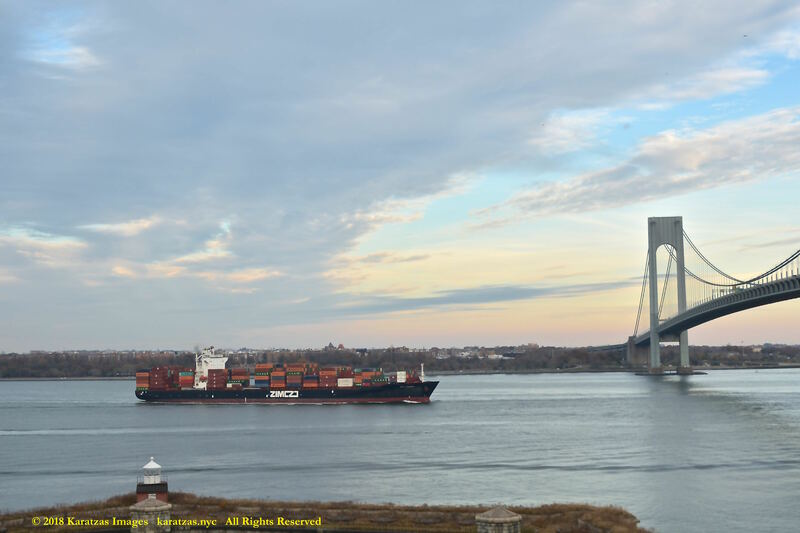 Seen here by the Verrazzano-Narrows Bridge. Containership MV ‘MOL Glide’ inbound. Image credit: Karatzas Images. 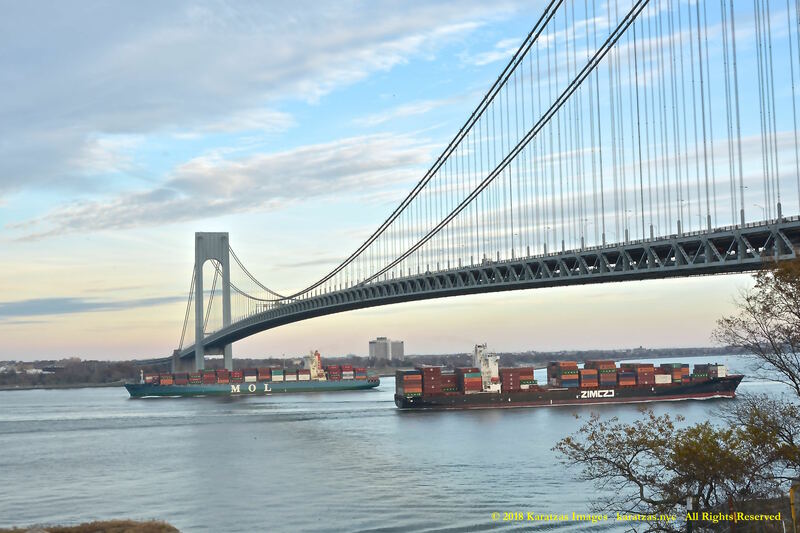 This entry was posted in Containership, Port of New York and tagged Danaos Shipping, Karatzas Images, Karatzas Photographie, Lower Manhattan, Lower Manhattan skyline, MOL, New York Harbor, panamax containership, Verrazano-Narrows Bridge, Verrazzano Narrows Bridge, Zim Integrated Shipping Services Ltd. by Karatzas Marine Advisors & Co.. Bookmark the permalink.